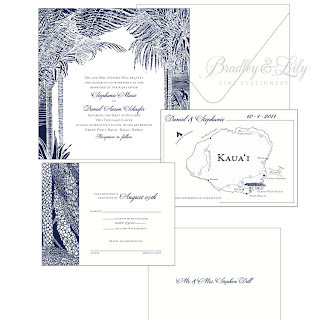 Lush palm trees frame this invitation (reverse print requested by client), while tropical vines border the response card. 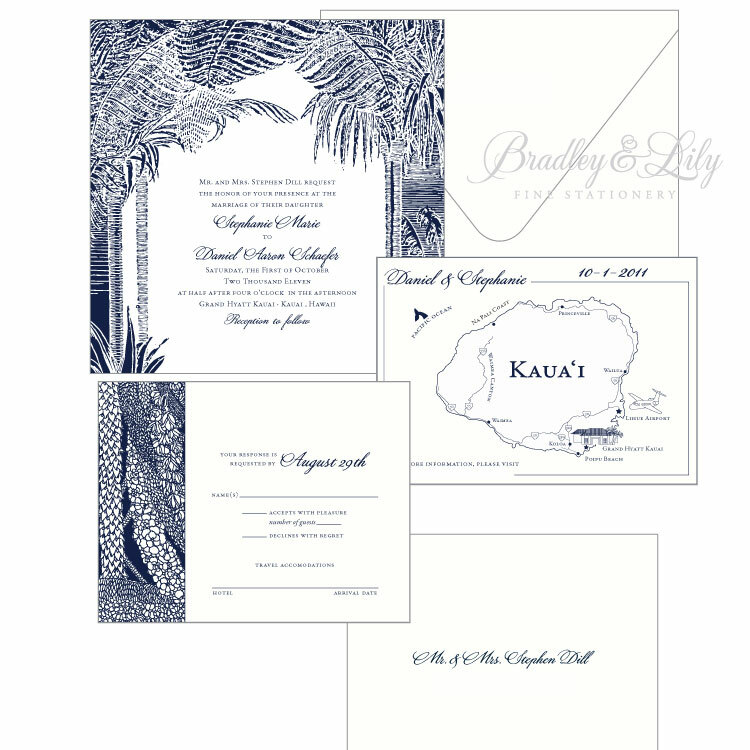 This design is also available in other colors to perfectly suit your theme. The custom map will show your guests the way.